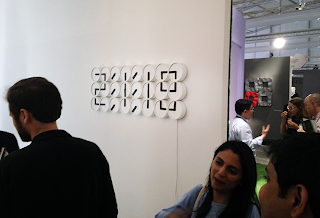 This clock above, by Humans since 1982, was sold in the first few hours after the opening of Design Days Dubai. 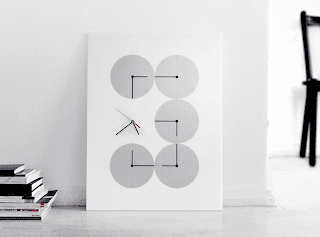 The hands move at different speeds - chaos, yet arrive at the properly arranged forms in to order display the time for several seconds each minute. 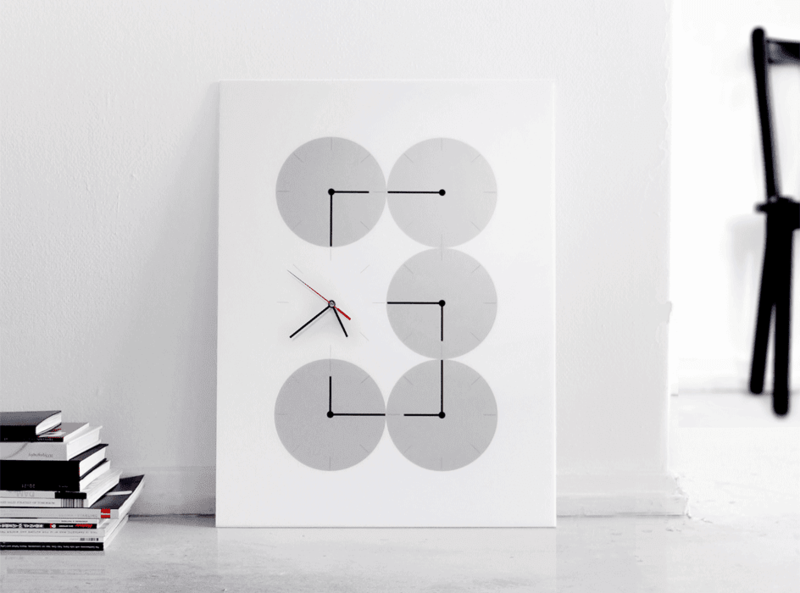 A much larger version entitled A million times, can be seen here. It is an experience with time - mesmerizing! The music in the video definitely helps transport the viewer. Watch this video! Love! This desk version, might take a little getting used to but worth it!